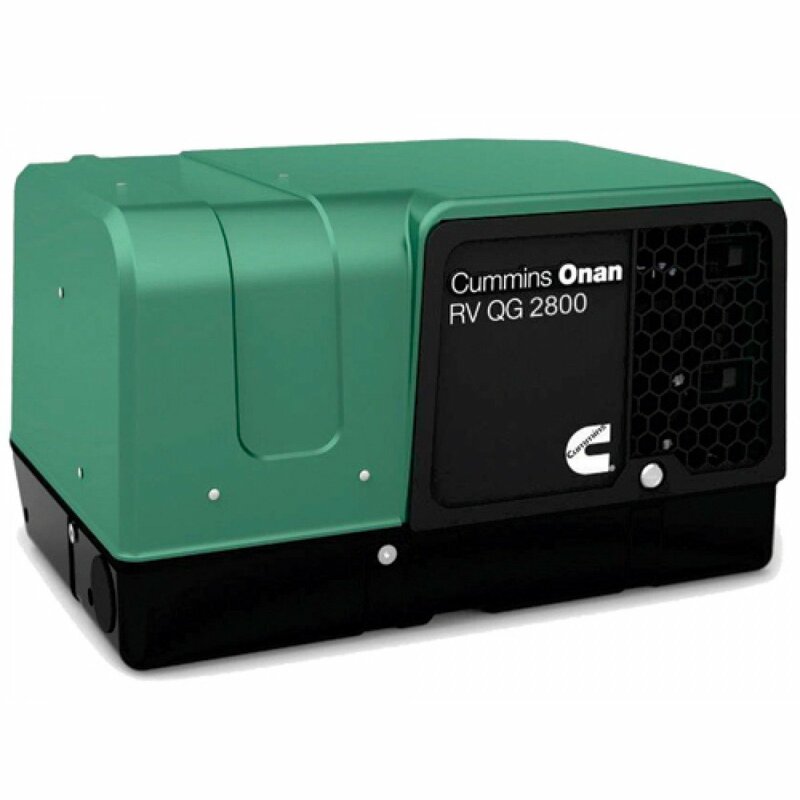 Onan is a brand which has served RV enthusiasts with power generators for many years. The brand is American owned by Cummins who are headquartered in Minneapolis. All Onan rv generators review in this article come with a limited 3 year warranty. The warranty program may be the longest most comprehensive one out there. See also best portable generators for RV reviews here. 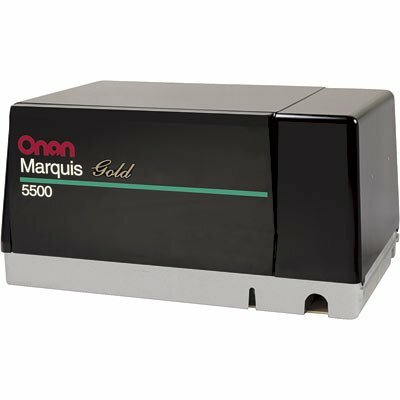 The Marquis Gold 5500 LP is built to last and is known for its longevity. Many customers report over ten years of heavy use with one unit. The Marquis series now have the RV QG designation. The generator offers easy and flexible set-ups. It has an integrated design with enclosed muffler for easy installation. The Onan Marquis can be installed in a 5th wheel RV. What we really like about this model is the combination of power, low noise and vibration levels, and digital voltage regulation for stability as appliance loads change. The generator also offers enough juice to power two air conditioners with power left over all while being the quietest generator in its class. It meets US National Park sound level requirements. The 5500 LP is available on amazon.com for $4,585 with free shipping. 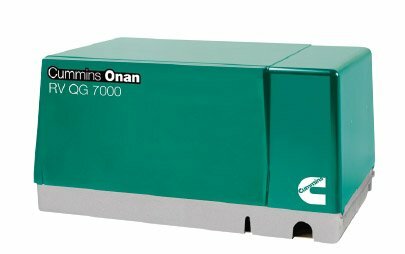 The 7000 watt gas generator is offered for only a little more money than the LP 5500 watt model reviewed above. What is cool about this unit is that it offers electronic fuel injection. This economizes fuel consumption and maximizes performance. Two 13,500 BTU air conditioners can be powered at a 3500 watt baseload. There is plenty of power to spare for other items in your RV. The 7000 EFI also has an integrated design with enclosed muffler for easy installation. Please note this generator requires a chassis specific fuel system kit. This generator also boasts a self-diagnostic capability to simplify troubleshooting. The 7000 EFI is available on amazon.co for $4,746. Shipping is also included. The QG 2800 is a 2800 watt generator that comes in at under $2,500 and is great for small RVs and campers. It can comfortably power one roof top air conditioner unit with power to spare. Like most RV generators, the unit is hooked up directly to the RV main fuel tank. The unit is completely enclosed with muffler and is easy to maintain with single side services. The only potential negative is the that DbA level is rated at 70. Some buyers have expressed they wish the unit were a little more quiet. However, the QG 2800 does meet the 50 ft US National Park sound level requirements. We still feel this model offers good value for the price. See also our Best Generators For RV and Campers Review for more generator for small RV reviews.